Are you a resident of Enugu state? 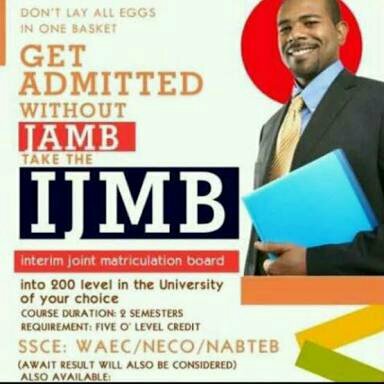 Or you wish to study at Enugu, This is to inform you that we now have Ijmb centres in Enugu. There are various ijmb centres in Enugu and we have received different messages from students who want to enrol for the ijmb programme in Enugu on which center is best for them and that is why we have come up with this post. We have an ijmb registration center in Enugu where you can obtain your ijmb form. Call us on 08148501101 so we can direct you and also guide you to the best ijmb centres in Enugu. For those who wish to register via their email address, email us on [email protected] requesting for the form. We will forward you the form along our account details. And also, a model of a filled form to serve as your guide while filling your own. You will then scan back your Ijmb form back to us alongside the teller of your payment to our email address. Things you should consider when choosing Ijmb centres in Enugu. We can assure you that we will guide you to the right ijmb Centres in Enugu. We cannot put up any name here because it will be us advertising them on our website. And we can’t do that because nothing is permanent. The ijmb centres in Enugu we trust now can begin to perform below standard, then what do we do? We check around for other good ones. The school fees for ijmb centres in Ibadan vary. But we can tell you that for the good Ijmb centres in Enugu we have worked with, their school fees fall between #140,000 and #160,000. And those include accommodation, exam fees among other things. Also, to ease the financial load of parents and guardians, we make sure those centres allow for payments on instalments. How to register with us is quite simple. For those who stay in Ibadan all you need to do is to visit our ijmb registration centers in Enugu. But make sure you call us on 08148501101 when coming. Or if you cant get to our centre, you can use our IJMB REGISTRATION PORTAL. Next Post:TOEFL Registration in Nigeria.